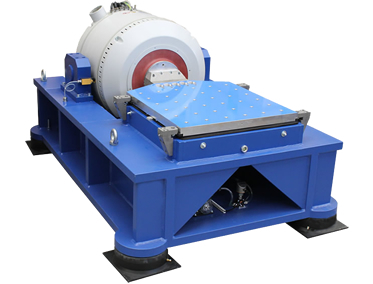 WEIBER has designed customized Vibration test system to meet the generalized testing requirements of various segments of industry and research institutions like Automobile, Electronics, Telecom, Lighting,Aerospace, Packaging,DRDO and Atomic research centre. We are manufacturer of electrical vibration series products, adopted the 'double-magnetic circuit ‘ can be completed in X, Y, Z three axis sinusoidal vibrationtest and broadband random vibration tests, to be completed by the classical (half - sine, trapezoidal, saw tooth wave) pulse and shock response spectrum test. Well-designed dynamic circle skeleton, with a higher stage axial resonance frequency. Two-magnetic circuit, magnetic flux leakage low, compact structure and rational. Rocker Rod roller bearings straight and import-orientedcomposite body stiffness Orientation, eccentric load capacity. 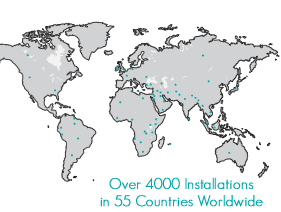 Trunnion isolation foundation dedicated to hormone use, the installation of mobile convenience. 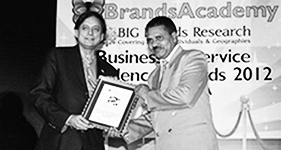 Advanced technology move around the system to ensure that the dynamic circle of high reliability. New duct design and enhance the cooling effect. Static stiffness, dynamic stiffness of the bearing small balloon, raising the vibration table bearing capacity, improve low-frequency performance. DSA power amplifier is a new generation of intelligent amplifier. It has the following advantages. 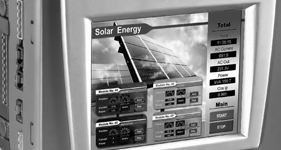 Customer-Friendly operation: Use HMI panel, friendly interface and easy operation. Powerful: Abundant communication ports; with running log; can be remotely monitored. Safety: Software and hardware dual protections, Output Force Limit, Interlock Protection and other customer defined protections. Easy maintenance: Failure log, user can check fault log for troubleshooting, and support networked diagnosis. 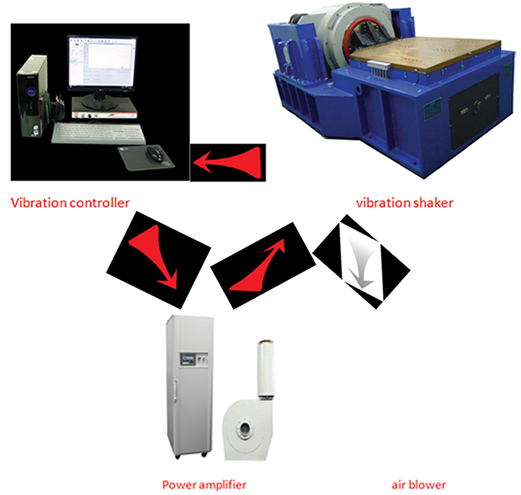 Vibration tests in three orthogonal directions can be achieved with the connection of a slip table with an electro-dynamic shaker. A slip table uses a smaller carrier (table) to improve the quality of the overall load capacity, capable of supporting big size and large mass of the payload. A slip table can be categorized into combo and standalone types according to the way of connection. A vibration system with a slip table can complete vibration tests for a component or a whole machine in X, Y and Z directions. 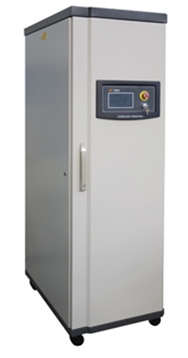 It can also form an integrated environmental testing system with the use of temperature, humidity test chamber. We are capable of manufacturing super large slip tables, such as the 3.5m by 3.5m etc. 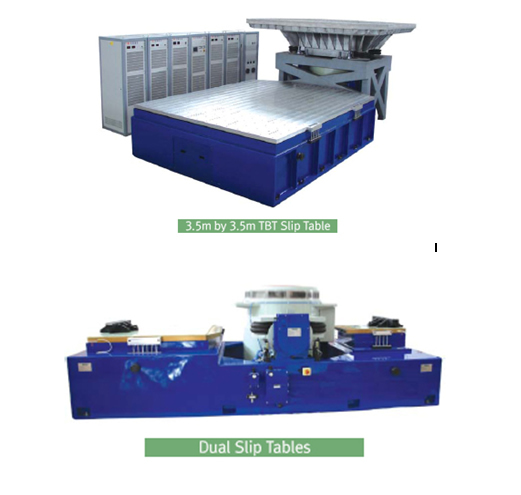 Combo slip table refers to integral design of a horizontal slip table and a shaker. They share a same pedestal. It has a good rigidity, and is easy to install and adjust. Its installation does not need a special foundation base unless the shaker was required to start testing from 1 Hz. A horizontal slip table with hydraulic Bearing Guiding consists of a Slip Plate (magnesium or aluminium), Drive Bar (or Bull- Nose), Granite Slab, a built-in Low Pressure Oil Source and Pedestal (or Slip Table Base). Built-in oil pump with compact structure is easy to operate. 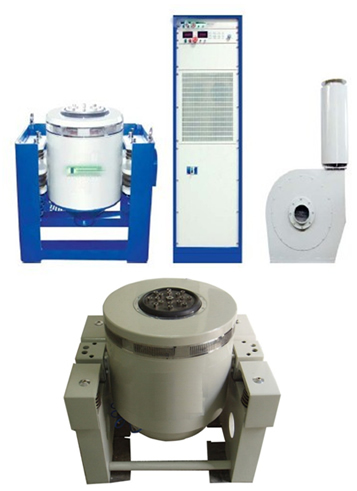 Standalone type design is used widely for testing large-size and dynamically complex test samples. Its transportation, lift and loading are easy and its use is more flexible. Besides, the standalone slip tables are welcome by these customers who have a shaker without a slip table. 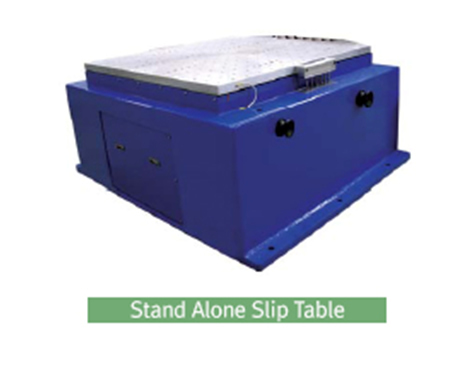 A slip table with Journal hydrostatic bearings consists of a Slip Plate (magnesium or aluminium), Drive Bar (or Bull-Nose), Granite Slab, a Stand-Alone High-Pressure Oil Source and Pedestal (or Slip Table Base). Journal hydrostatic bearings can provide higher resistance to overturning moment, suitable for testing a large sample load. The more the number of hydrostatic bearings, the greater the resistance to overturning moment. Unique trunnion makes horizontal and vertical switching easier and more convenient. For medium and larger thrust shaker, worm wheel mechanism makes switching more effortless. Mounting inserts 100mm X 100mm matrix pattern, SS replaceable inserts. We Supply many types of standardized head expanders, and support customization of head expander to meet customer’s demand for extended performance of shaker performance. In an actual vibration test, a test piece or fixture is often larger than the armature table of the electro-dynamic shaker, and then you need to extend the original table. Common approach is to install an auxiliary table. In the operating frequencies, the table’s weight, acceleration, amplitude uniformity and lateral movement, etc. have stringent requirements to the head expander. 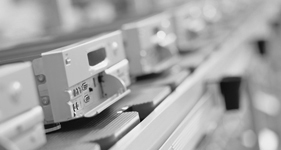 High-quality production processes ensure a stable performance and good technical parameters. Accelerometers are inertial transducers that can sense mechanical motion and convert it into an electrical quantity that may be conveniently measured or recorded. ANALOG CHANNELS 1 to 32 simultaneous channels. All 32 channels can be used for control or monitor. All are configurable single ended or differential with 200k Ohm impedance. The VR9500 Revolution features a 108 kHz sample rate. 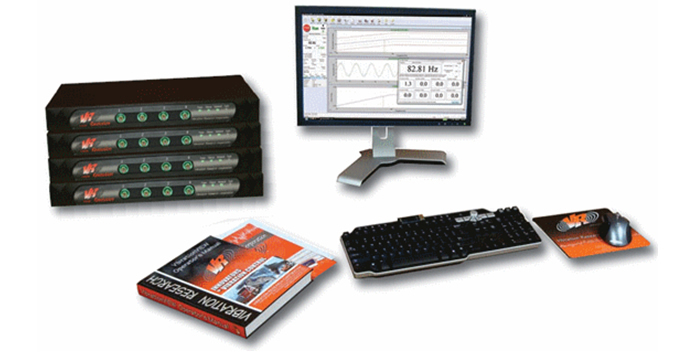 Setup allows per channel selection of transducer sensitivity, coupling (AC or DC), accelerometer constant current supply (4mA), TEDS transducer interface, and a unique DC offset that allows measurement to true DC with constant current type accelerometers. Custom units can be defined for other sensor types. INPUT CHANNEL EXPANSION Can be expanded from 1 to 32 total analog inputs by adding signal processing modules. Each module contains 4 inputs. Additional modules connect to the PC via a network switch. PC CONFIGURATION NT/2000/XP/Vista/Windows 7 Operating system and an Ethernet port are the only requirements. Microsoft Word and Excel are recommended. FRONT END SIGNAL PROCESSING BOX Rear pluggable terminal block enables the digital level signals –8 inputs and 8 outputs –to be interfaced with your product and other systems. Used for remote start/stop/pause/continue and other functions such as close/open control loop, manual/auto schedule, and enable/disable aborts. DIGITAL INPUT/OUTPUT Output and COLA output, connection to Ethernet port, and a terminal block of digital I/O lines. FREQUENCY RANGE Sine, Random, Shock, and F.D.R. control up to 4,990 Hz. (High Frequency Option extends the limits to 32 kHz). An export license is required for Random and F.D.R. High Frequency software. : DC to 32,000 Hz. 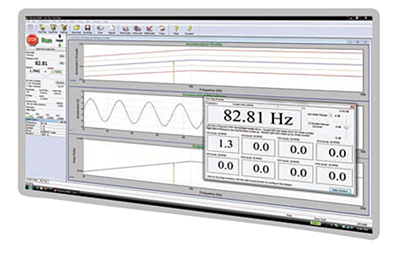 Up to 4,990 Hz standard; High Frequency option extends to 32,000 Hz. Sample frequency 10,000 to 108, 000 Hz. Linear from zero to 6,000 Hz/min or logarithmic from zero to 100 octaves/min. Single channel, average, extremal or manual. Sweep from frequency A to frequency B, sweep back-and-forth through profile, constant frequency, wait for operator intervention, wait for timed interval, resonance table generation & dwell frequency selection (optional), level looping (with nesting up to 10 levels), phase tracking to hold resonance frequency. Up to 1,000 amplitudes of A, V, or D, constant or slope changes at defined frequencies. As fine as 0.000001 Hz. Limits both the drive output and the control signal on start up to a user controlled level. 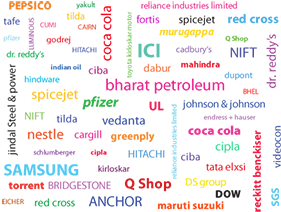 Normal test operation will commence only after the limited start up is verified by the user. Input channels can run individually, or combined by minimum, maximum, or average. 100 dB typical, 90 dB closed loop. 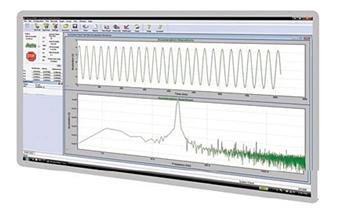 Up to 13,000 f frequency /amplitude breakpoints with slope (dB/octave) automatic calculations. The desired profile is graphed and updated as you build it. The test maximum peak acceleration, peak velocity, and peak to peak displacement values are displayed. Values are highlighted in red if they exceed the shaker parameter values selected. Clipping at any level 1 sigma or greater. Scale entered profile by % level, by dB level, or to an RMS acceleration level. Wait for operator intervention, Wait for a timed interval, Level loop (with nested looping up to 10 levels), Auto reporting and more. 2 – 1,000 degrees of freedom. Half-sine, haversine, initial and terminal peak saw tooth, triangle, rectangle, and trapezoid. From 1 mS to 60 seconds. 100 Hz to 108,000 Hz. (High Frequency option required above 4,990 Hz. 128 to 20,000 points or automatically optimized. Automatic calculation during pre-test or, for no pre-test start up, recall a drive from disk. pre-pulse and post-pulse compensation is performed. Double sided for minimum displacement and full use of shaker stroke. Choice of smoothed or rectangular compensation pulses. Pre-pulse and post-pulse amplitudes settings are a percentage of the demand peak acceleration. English, SI, metric, mixed, user-defined. 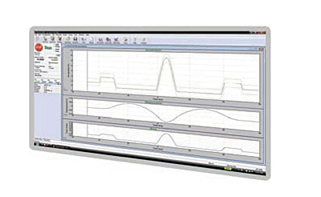 User specifies desired frequency for low pass filtering applied to the demand waveform, output drive signal, and input channels. User set from 0 to 1,000 seconds. F.D.R.VIEW (or F.D.R.) provides the capability to replicate your field acceleration measurements and reproduce them on the shaker in the test lab. The controller automatically equalizes the response of the shaker/fixture/product prior to running the test. This equalization can be memorized and stored with the test to quickly start a test at a full equalized level. The frequency range of the output signal is configurable, and a frequency band can even be notched out of the signal. 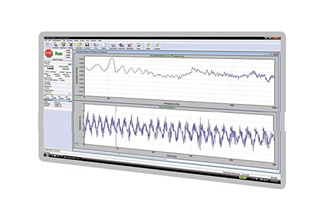 From 1 to 4 control loops can be run simultaneously to independently control up to 4 shakers with 4 separate waveforms. 1This package links with F.D.R.VIEW, Recorder VIEW, and Random Import. 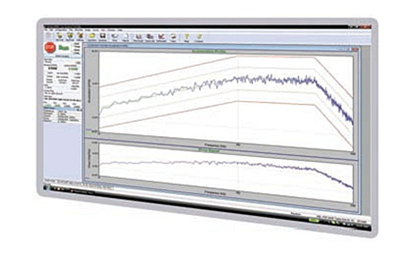 Edit VIEW provides a handy tool to examine and edit your acceleration and other signal waveforms. This feature is standard with F.D.R. and Recorder VIEW. Constant current supply (4mA) standard, can be enabled or disabled as needed. User selectable mV/G accelerometer sensitivity, or use any input unit when combined with the Alternate Units feature. :>100 dB (from DC to 10,000 Hz measured with half-full-scale sine waves). Binary file format, data samples stored with 32-bit floating point numbers. Convert from Windows .wav files, .vfw files, ASCII text (.txt) files, RPC and Universal File Format (.uff) files.